MFT Graphics Guru Laina Lamb spotted this sweet card by Anika on Instagram. 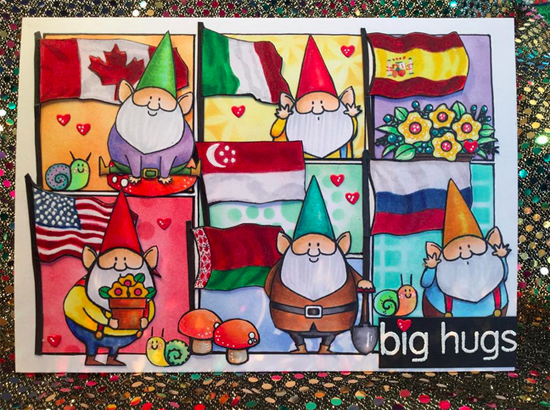 Last week on our You've Been Spotted post, we showcased a card by Birka that didn't use red and green with the fun gnomes from our You Gnome Me stamp set. Anika was a part of that fun challenge, too, and she chose to paper piece the whimsical guy. How cute is that? 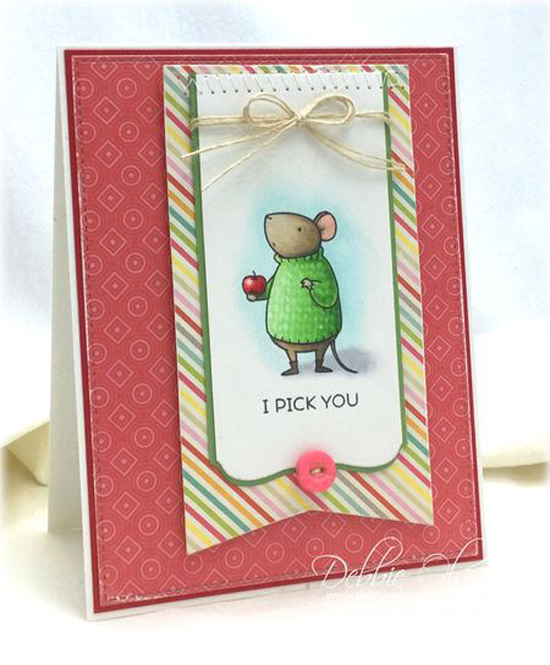 Challenge Team Members Jill Dewey Hawkins found this adorable card by Kara in the MFT Flickr group. 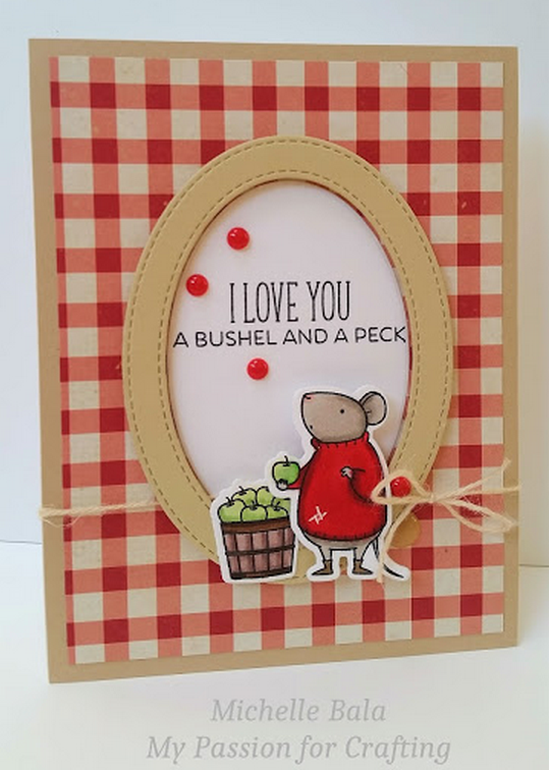 Kara used the adorable apple picking mouse from the Harvest Mouse stamp set in this sweet design. Jill says, "I mean, really. How fun is this one?! And the coloring? Phew. Awesome." Kara is from Appleton, WI, so the apple theme must be pretty dear to her heart. I spotted this jaw-dropper by Donna in the MFT Challenge & Inspiration Facebook group. I just love her use of metallic papers with the Four Way Chevron Cover-Up Die-namics and the dramatic gold on black presentation of the sentiment from the Hand Lettered Holiday stamp set. I'd sure love to receive this glorious card, wouldn't you? 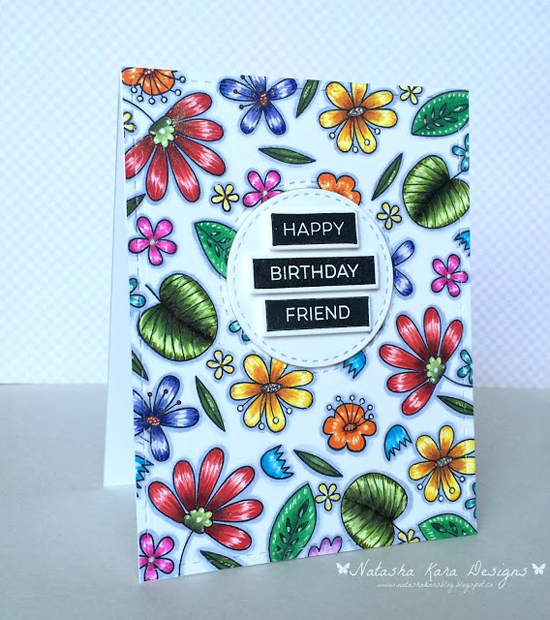 Design Team Member Kay Miller spotted Lindsay's cheery design on her blog. Kay says, "Lindsay's got some amazing coloring skills! This card is fabulous!!" The shading on the elf's hat is totally to die for, and I love the little details she added with glossy accents on his buttons and the bell on his hat. 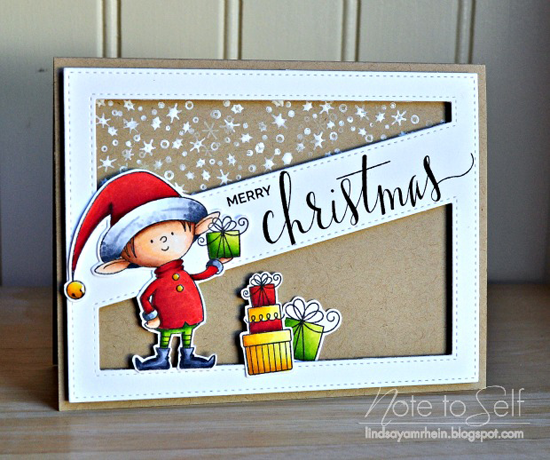 The Santa's Elves stamp set and Die-namics paired with the Stitched Cover-Up Companion - Diagonal Die-namics and the Hand Lettered Holiday stamp set are a match made in card making heaven! 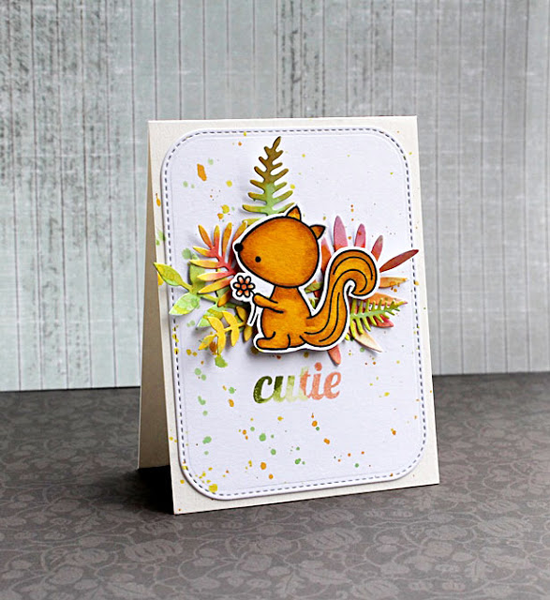 Contributing Design Team Member Inge Groot found Emily's cute card on her blog as an entry for Sketch 249. The band of mice from the London Mouse stamp set is marching by with greetings for a delighted recipient. 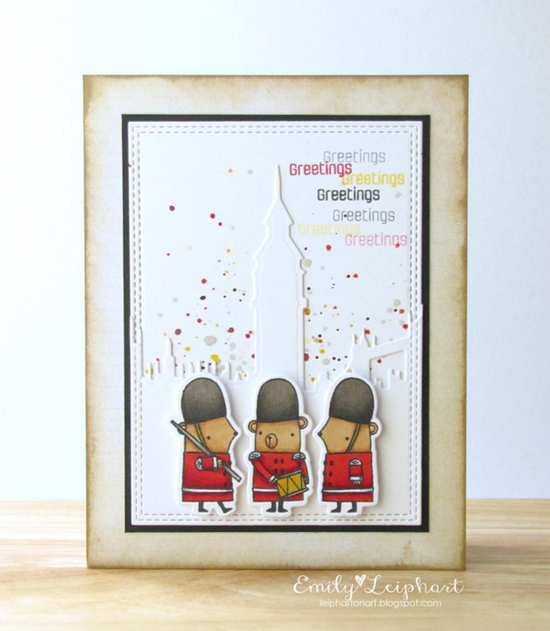 I love how Emily placed the white London Skyline Die-namics against a celebratory sky filled with fun. Thanks for using MFT, ladies! You've left us inspired, and that's what it's all about! 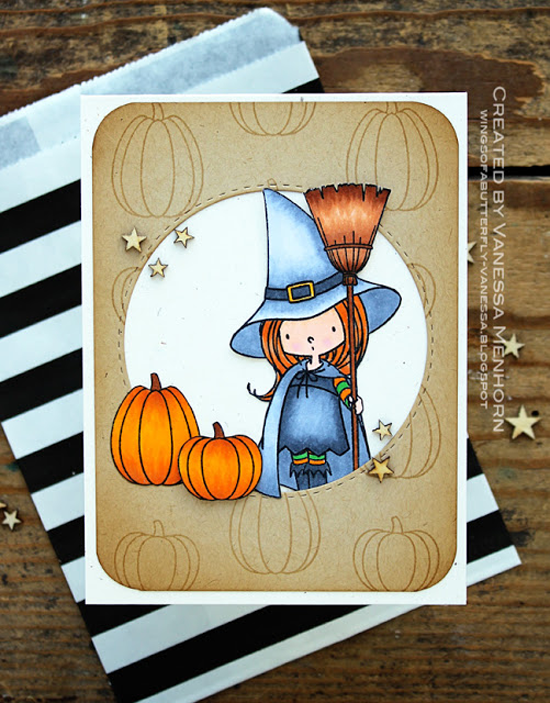 See you tomorrow for the next Sketch Challenge, and look for a new MFT Color Challenge this Thursday, October 22nd! Awesome cards, congrats on being SPOTTED!!! 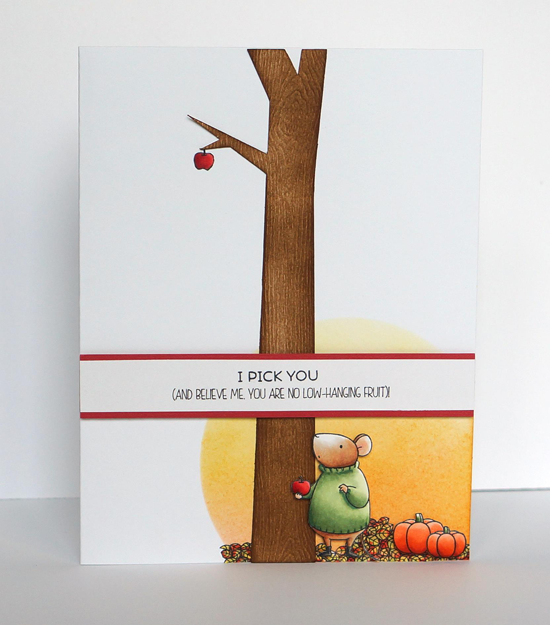 Thank you so much, for spotting my card, Jill! It's funny what you said about Appleton, I actually live in a neighborhood that used to be an apple orchard! 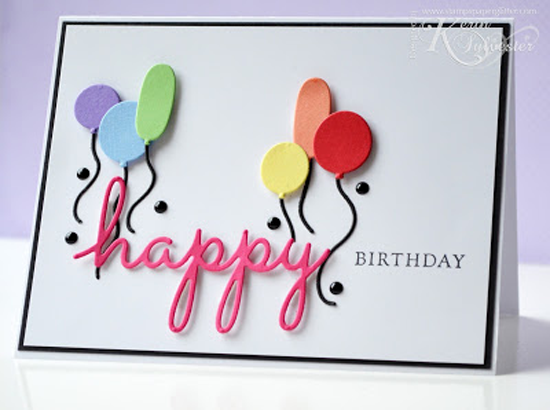 I just love Anika's, Donna's, Lindsay's, and Emily's cards!